June and we’re fast approaching mid summers day. For those on our Delightful Denmark tour they are currently enjoying very light evening with darkness arriving close to midnight. This time of year is a really great period to be travelling in the northern countries; two of next years tours Southern Norway and The Baltic States will also benefit from the same. Throughout May two tours of central Europe took place, some customer reviews from these. 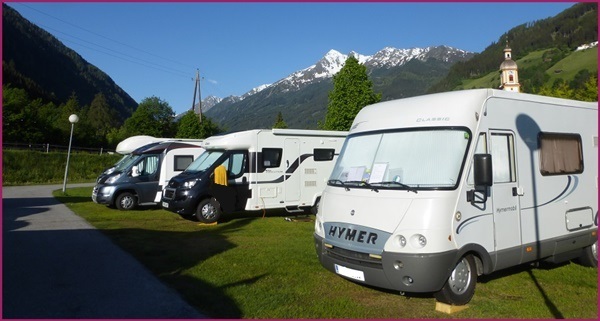 Included in many GB Motorhome Tours are events of a special interest; on the recent Austrian Alps tour this was the celebration of ‘Corpus Christi’. In Hallstatt, where our camping is based, the event is particularly good with the procession passing through the town to arrive at waiting boats for a colourful journey across the majestically positioned Lake. Another tour with a great event included is our September Rhine in Flames tour (see end of this newsletter), where guests enjoy a major fireworks display high above the Rhine whilst enjoying a dinner cruise along the river. 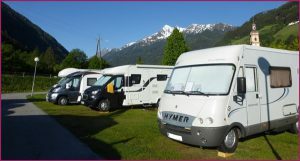 During the summer months GB Motorhome Tours have stands at a number of the outdoor motorhome shows taking place. The first is the Norfolk show over the weekend of 20th – 22nd July located near to Norwich. This event is growing in popularity as many people enjoy the more compact feel of a slightly smaller show than the likes of Peterborough and the NEC. Our stand is number 38, if you’re at the event do come along and visit us. Also throughout the summer, if taking a ferry crossing with your motorhome consider carrying a couple of ice packs in your motorhome freezer and upon boarding the ferry place these into your fridge. With the fridge remaining closed throughout the voyage it’s an effective way to keep the contents in good shape whilst your fridge is without power; it also ensures your beer & wine is cool for arrival at the next campsite! Enjoy your touring during the light summer evenings and we look forward to escorting you and your motorhome to many great places soon.